MONTHLY photos contributed by our members for December - 2017. 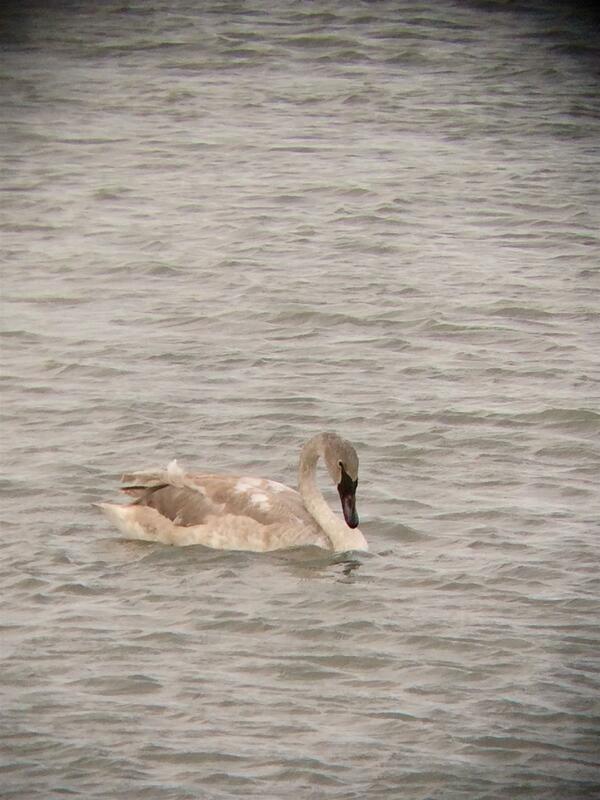 This juvenile Trumpeter Swan was very cooperative on the 8th at Buckhorn Island SP. Note how the feathering at the top of the bill comes to a fine point. 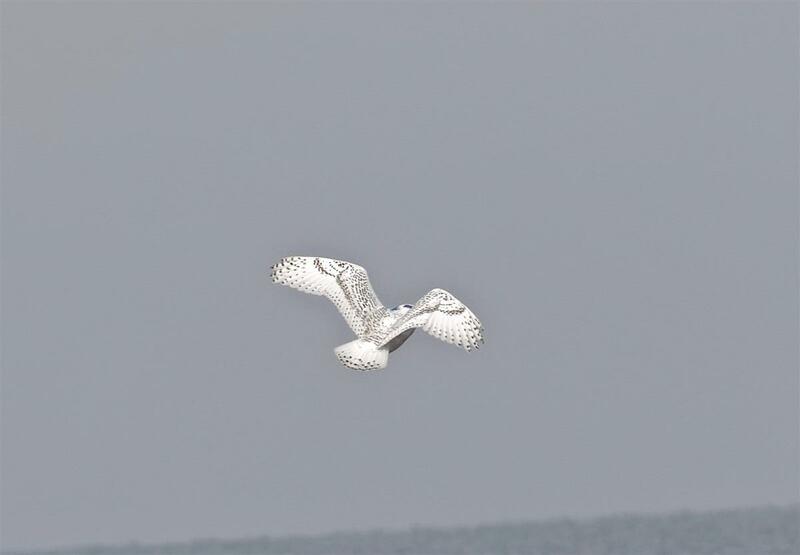 This bird had no wing tag, as many Trumpeters do. 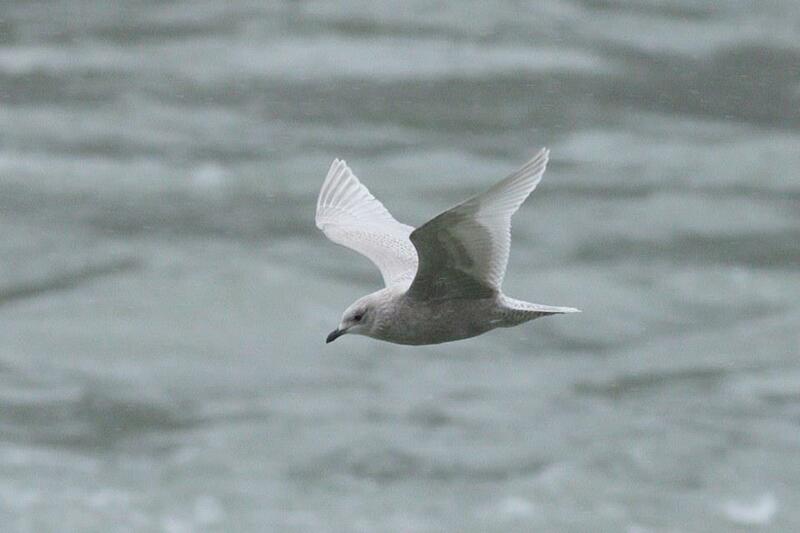 Chris Kundl photographed this 1st winter Iceland Gull at Devil's Hole, Niagara Falls on the 8th. Chris remarked that this bird is of the kumlieni race. 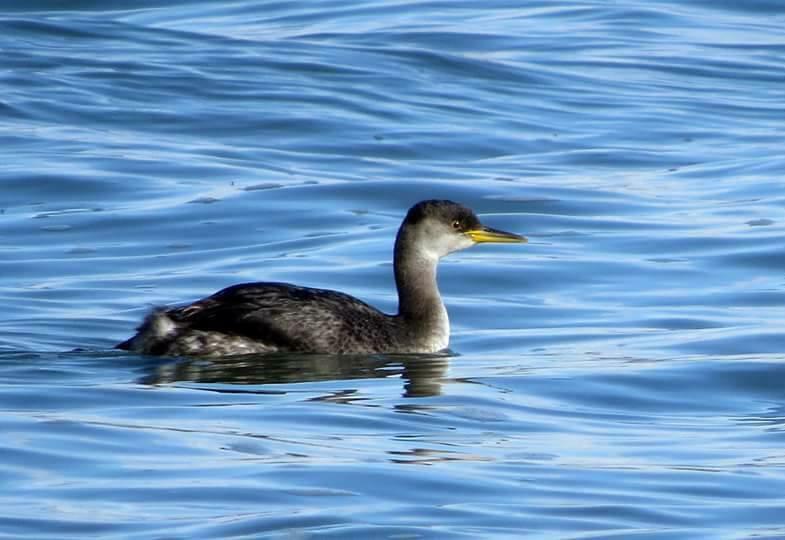 Fantastic image of a Red-necked Grebe by Shelley Seidman on the 14th at Buckhorn Island SP. 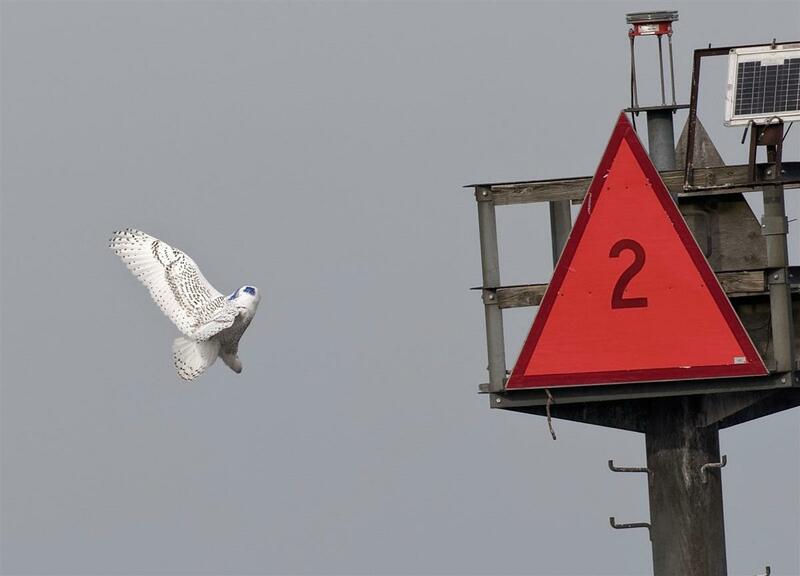 Kevin Rybczynski captured an incredible series of photos of a Peregrine Falcon atop Buffalo City Hall on the 12th. This beautiful adult bird was unbanded. 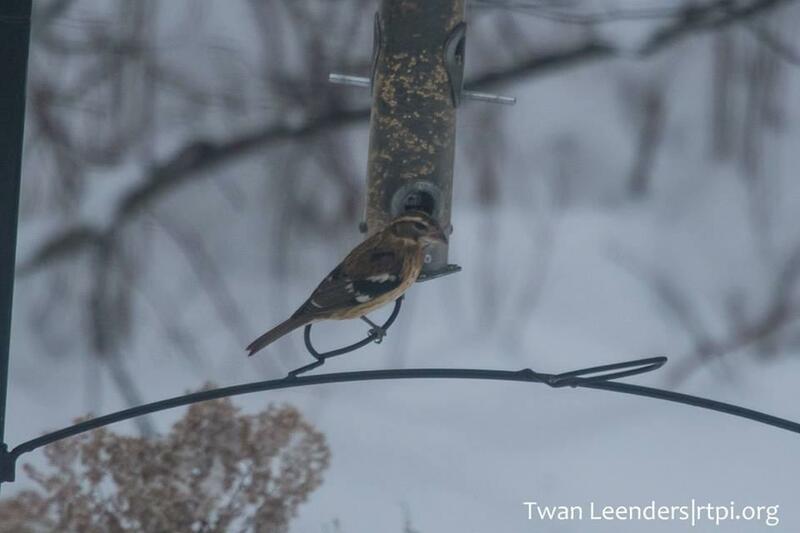 A dividend from the Jamestown CBC on the 17th was this Rose-breasted Grosbeak coming to a feeder in the backyard of Twan Leenders. 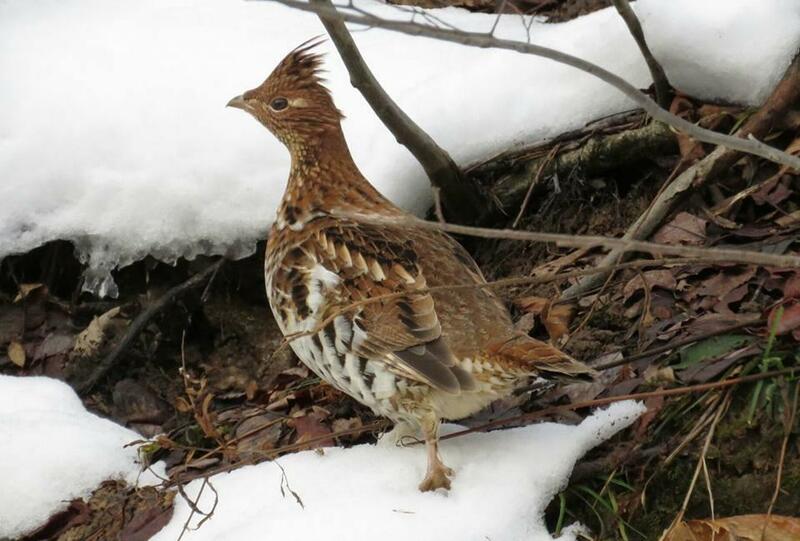 On the 20th, Kyle Brock captured this image of a Ruffed Grouse at Allegany State Park. In WNY, this is probably the best area to see this species. 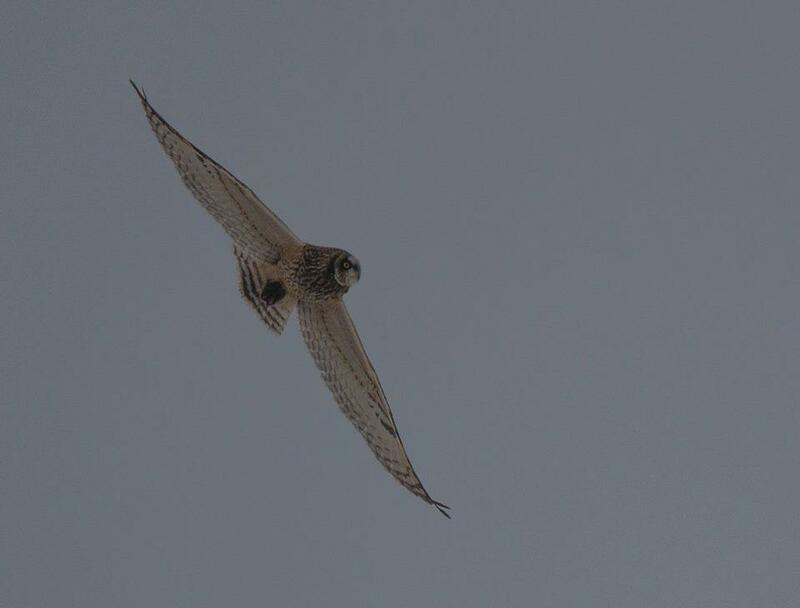 Joel Strong lucked into a Niagara County field playing host to several Short-eared Owls on the 22nd. 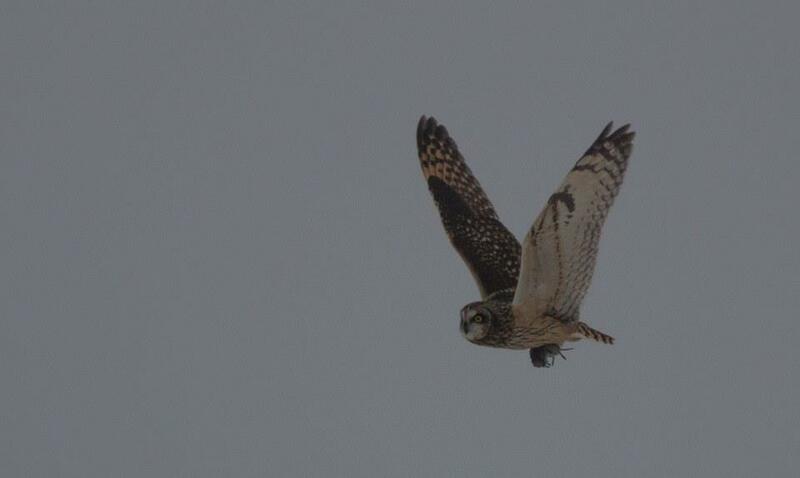 Another image of the Niagara County Short-eared Owls found by Joel Strong on the 22nd. 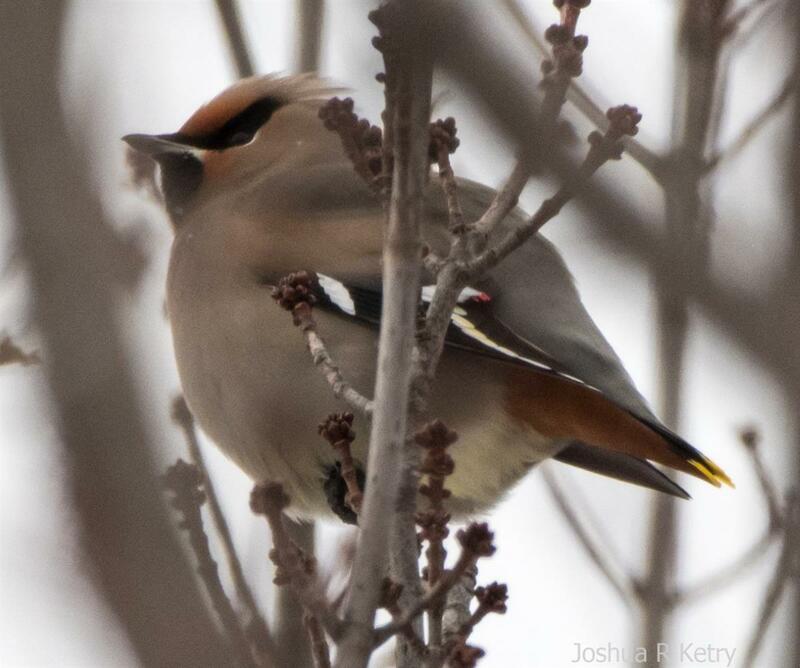 New BOS member, Joshua Ketry, picked this Bohemian Waxwing out of a flock of Cedar Waxwings at Fort Niagara SP on the 27th. 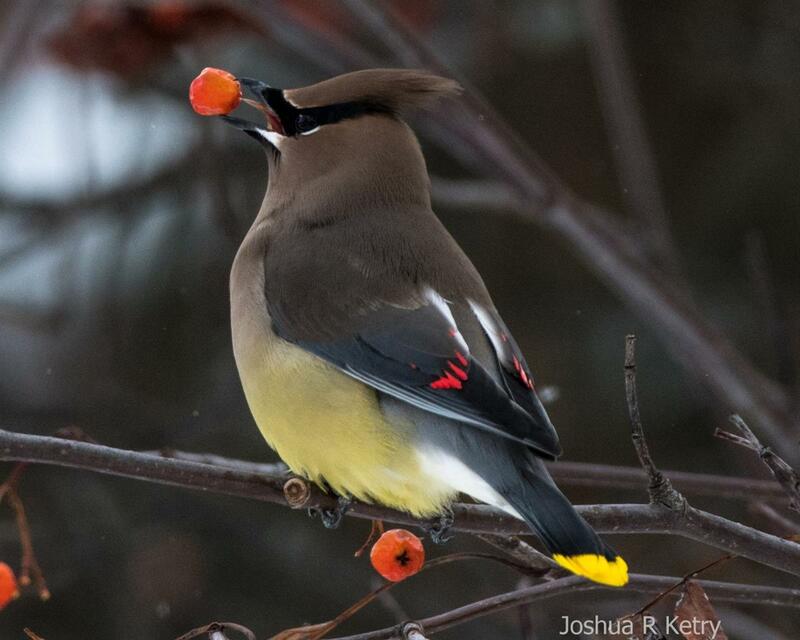 The birds were feeding on Mountain Ash berries near the east entrance. One of the Cedars that the Bohemian was keeping company with at Ft Niagara SP on the 27th. Josh Ketry managed this stunning image...always nice to see some color this time of year! 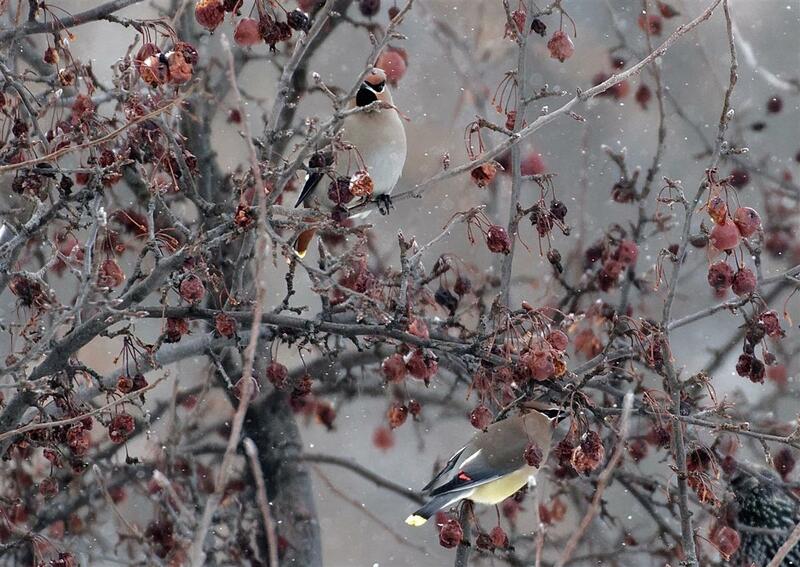 Bohemian Waxwing (top) and Cedar Waxwing (bottom) at Old Fort Niagara State Park. 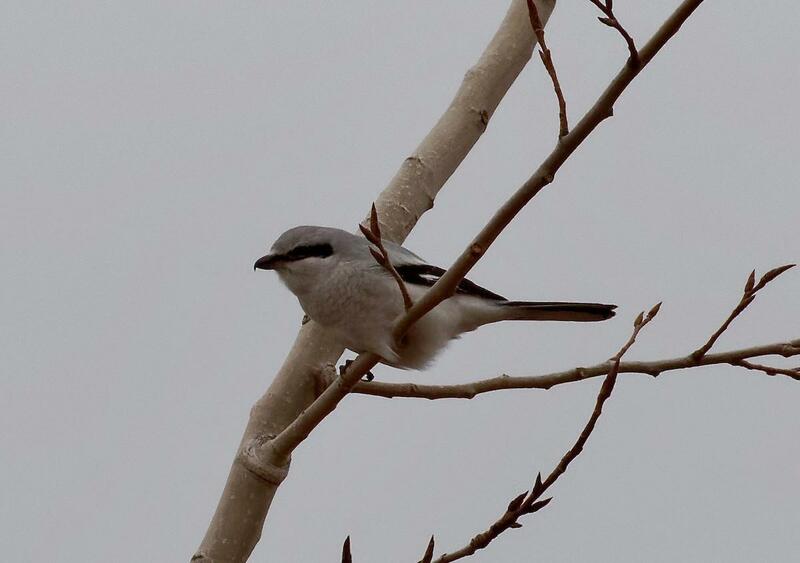 Northern Shrike on the 20th at Krull County Park in Olcott. This location has breeding Clay-colored Sparrows in summer. Photo by Jim Sawusch. 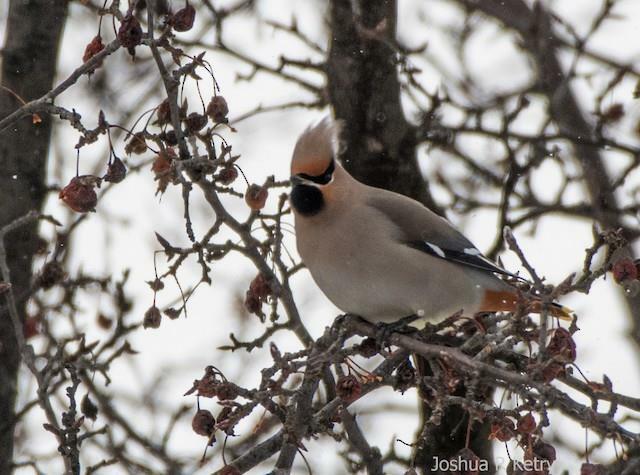 This Bohemian Waxwing found by Josh Ketry on the 27th delighted for a second day. Photo by Ketry on the 28th at Ft Niagara SP. 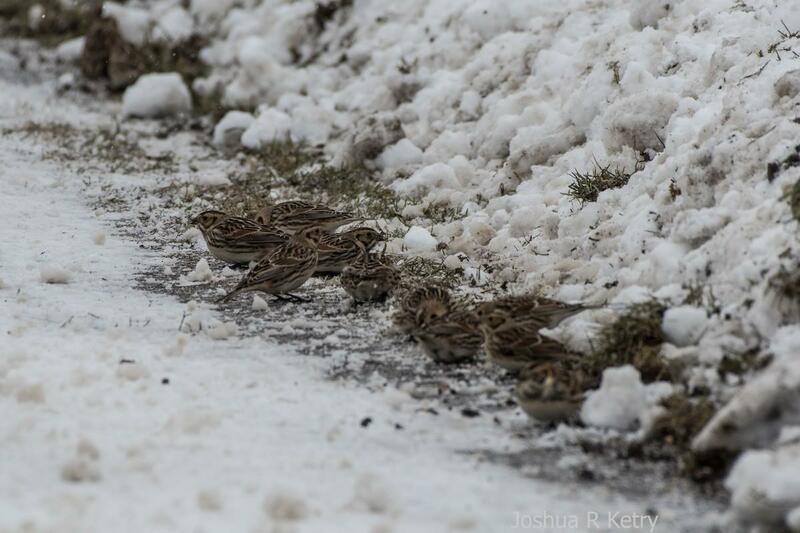 Lapland Longspur flock in Niagara County by Josh Ketry and Shelley Seidman. When snow fall covers fields, the birds come to road edges to access seeds and grit. 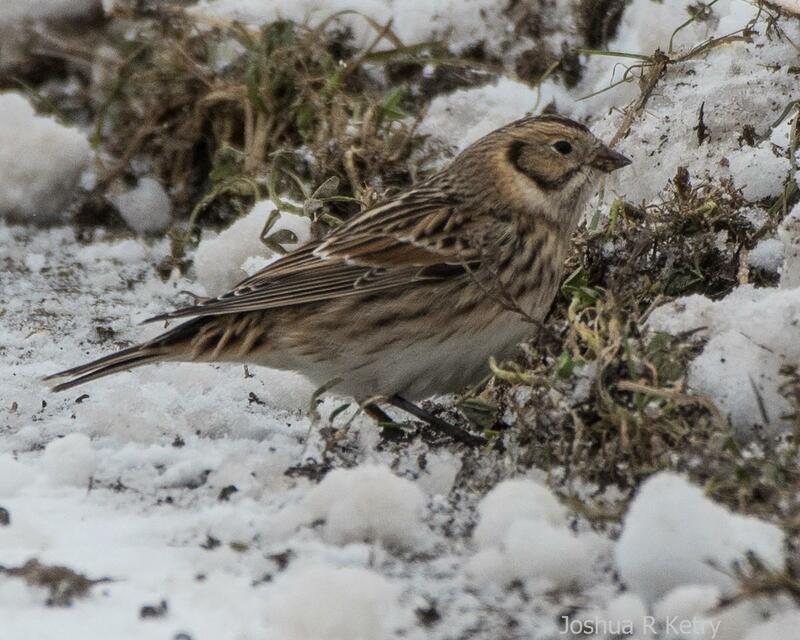 Portrait of a Lapland Longspur by Josh Ketry on the 28th in Niagara County. This bird was part of a flock of 50! 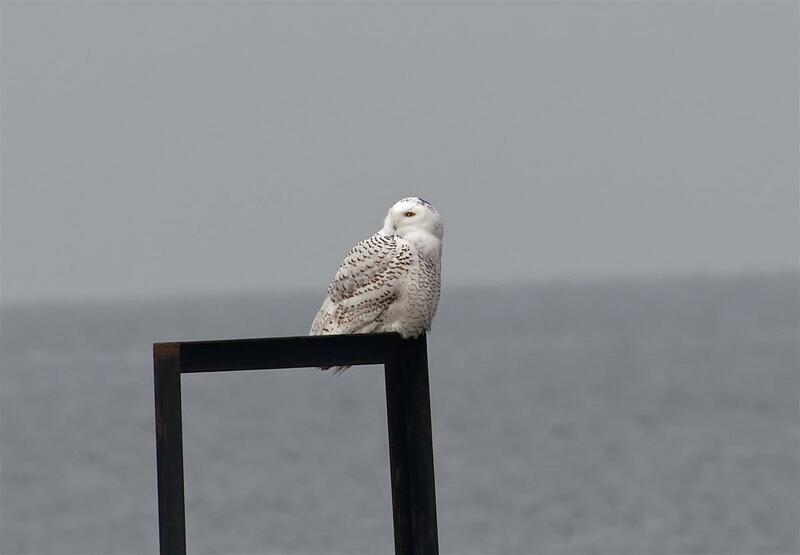 Ketry and Seidman found a Snowy Owl in Niagara County on the 28th. 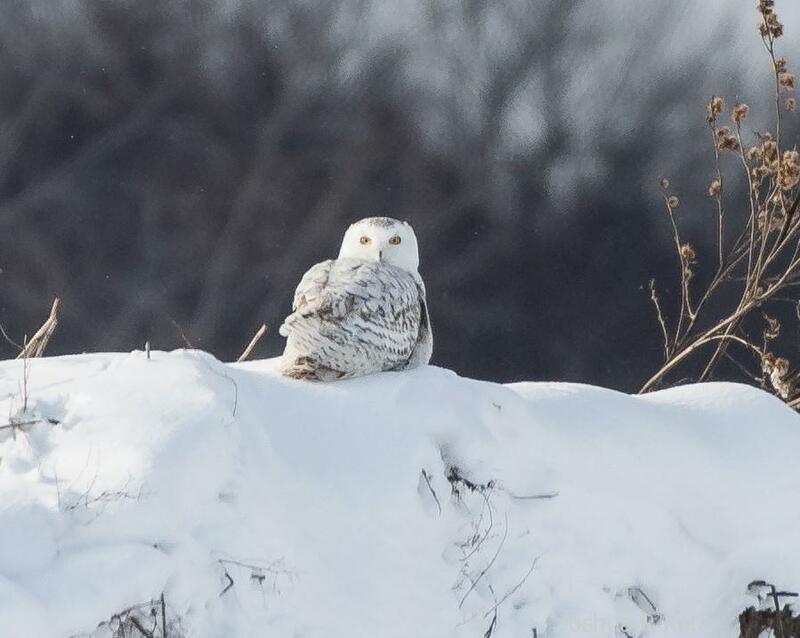 Tim McIntyre found this jewel at Reinstein Woods on the 29th. 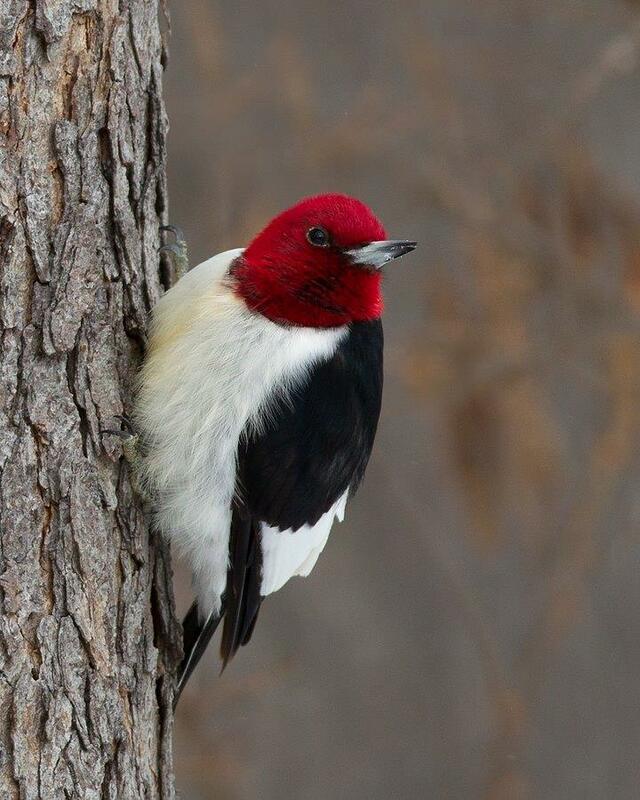 This Red-headed Woodpecker has been visiting the feeders outside the visitor center through the 31st. 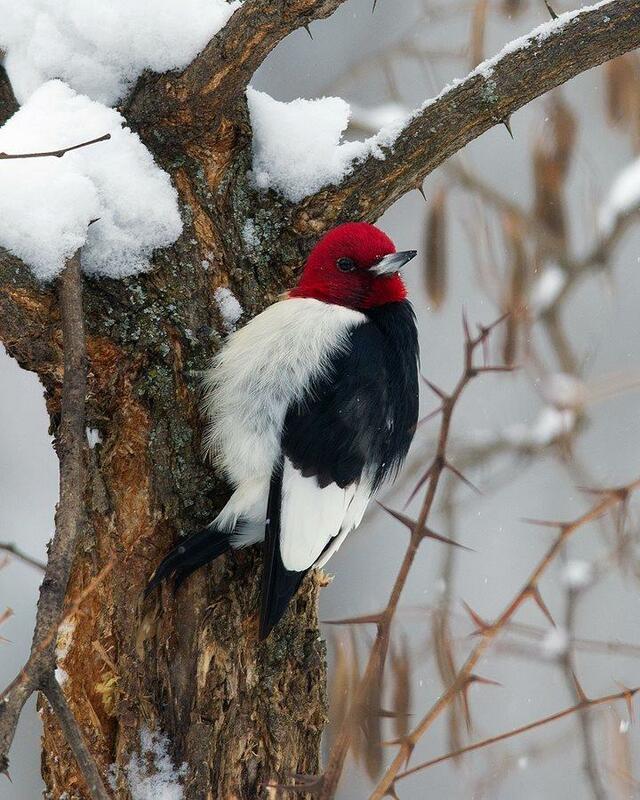 Another image of the Reinstein Red-headed Woodpecker by Tim McIntyre. Photo taken by Tim on the 31st. 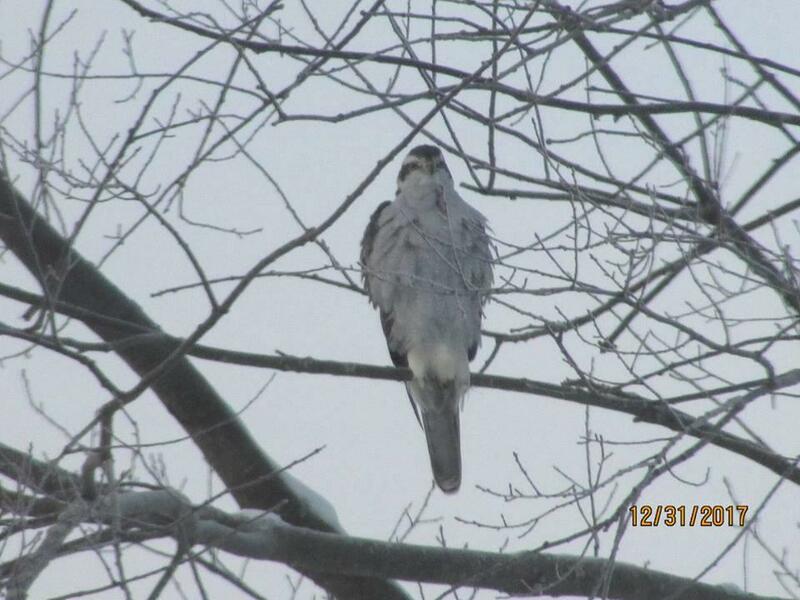 Gary Hallick photographed this awesome adult Northern Goshawk in his backyard in Ellicottville, NY. 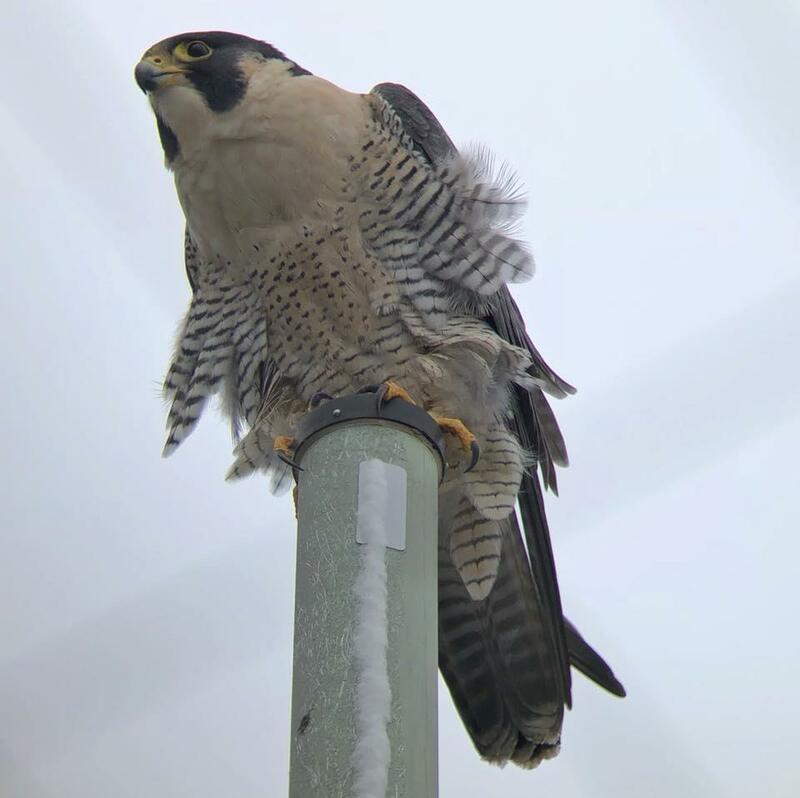 The bird was seen on the 30th and 31st. 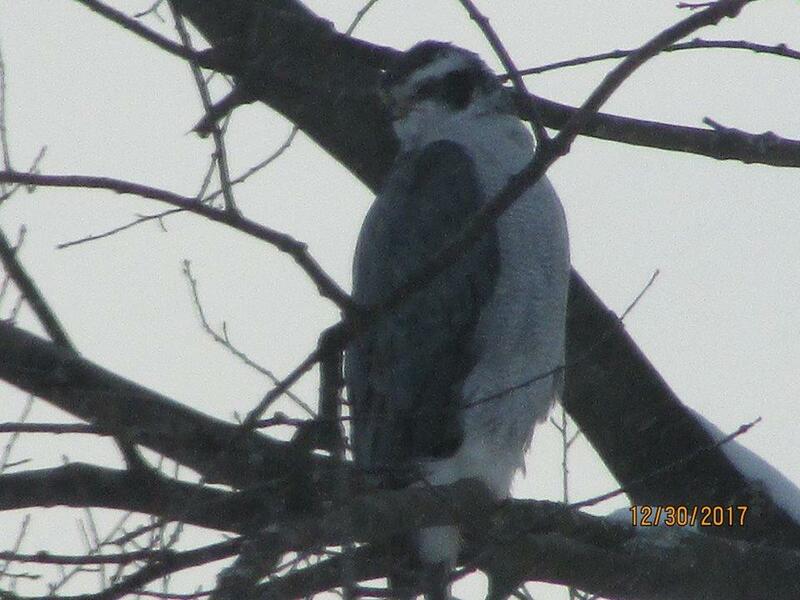 Another image of the Goshawk frequenting the yard of Gary Hallick in Ellicottville, NY. What a sweet yard bird! Gary reports the bird has been having success at his bird feeding station!